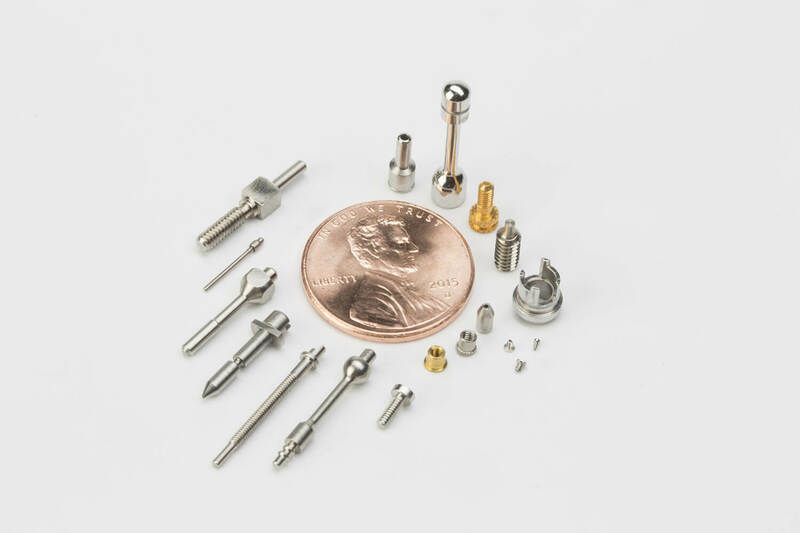 Precision Plus has been a supplier of precision machined parts for the aerospace industry since its founding in 1982. Aerospace parts must be of the utmost quality and we deliver defect-free parts that are critical for safe-flying. Over the years, we have manufactured many delicate aerospace components from remote resettable circuit breakers for aircraft safety systems to sophisticated elements contained in space shuttles. 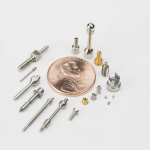 Our Swiss-made Tornos machines still turn out many of these flight-critical adjusting screws, pins, and guides, while the CNC Swiss lathes tackle the more complex valve components, stems and shafts. The CNC machines allow us to eliminate many of the secondary operations and improve both quality and delivery to our customers. These components are found in many types of aircraft subsystems. Materials used for these applications include a variety of high strength titanium, aluminum, stainless and alloy steels. We partner with material, heat treating and plating suppliers who understand the aerospace market and the importance of delivering high-quality products to suit the demanding applications of this industry. When the mission is critical, and you need the “right stuff”, know you have found the right place at Precision Plus.